throughout life. They are intrinsic to Aboriginal art and cultural practice across the north of Western Australia. choreography, music and design of a song cycle are either developed by senior men and women or they can be gifted by a spirit through a series of dreams. In this way they are spiritual but also very human creations arising from personal experiences, local environments and particular moments in time. These individuals then become the custodian responsible for the direction, performance and circulation of their joonba. There are multiple layers of meaning in operation that are not equally available to every singer, dancer or audience member; one learns and gathers greater depths of understanding over time. 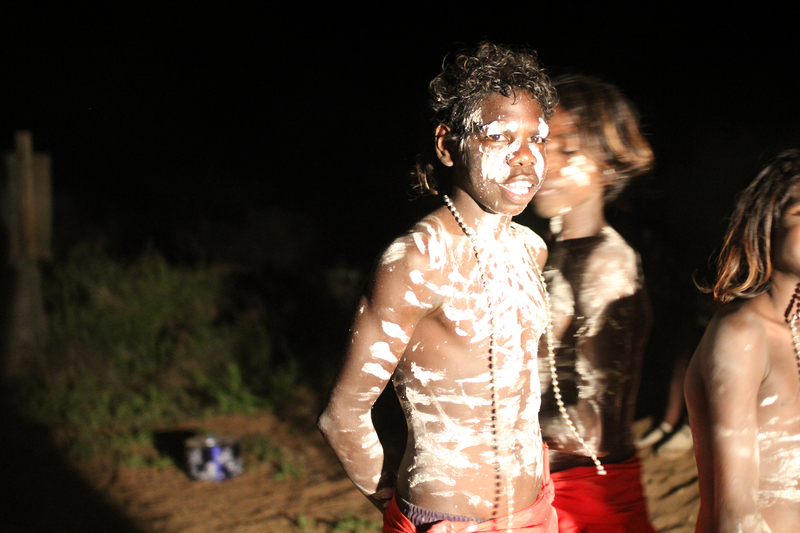 In many ways contemporary art practice in the north of Western Australia sprang from joonba. 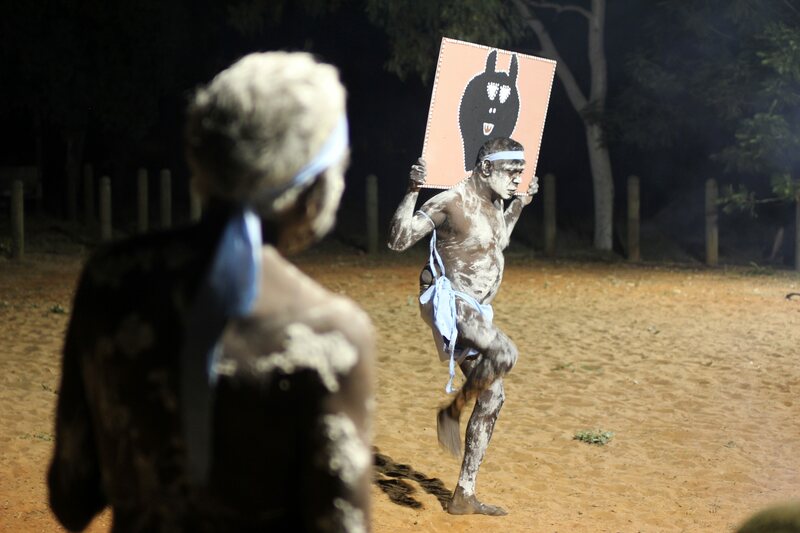 The inspiring continuum of this art form will undoubtedly lead to new incarnations and influences across the spectrum of art and cultural practice in the Kimberley today. Understandings of this art practice outside of the region may be in its infancy but the strength of this practice locally is full of possibilities. These performances have always been exciting, revelatory and shape-shifting experiences. It is in the viewing and appreciation of joonba by audiences today, within and outside of their communities of origin, where revelation now lies. “What is so special, or the very most important thing, for Gija people is that they can adapt to change quickly in this rapidly changing world. They have responded to change, often instigated at the government’s whim, since early colonization up to this day today. Everyone has their ways of maintaining and preserving culture and Gija people have their ways. When it comes to our law, culture, country and language Gija people know what is right from what is wrong. Everything from Ngarraggarni (Dreaming) to real life events are kept alive in our traditional archives, and that archive is our joonba. Within that we always have our wirnan systems, of sharing and caring, accompanying us on our journeys. 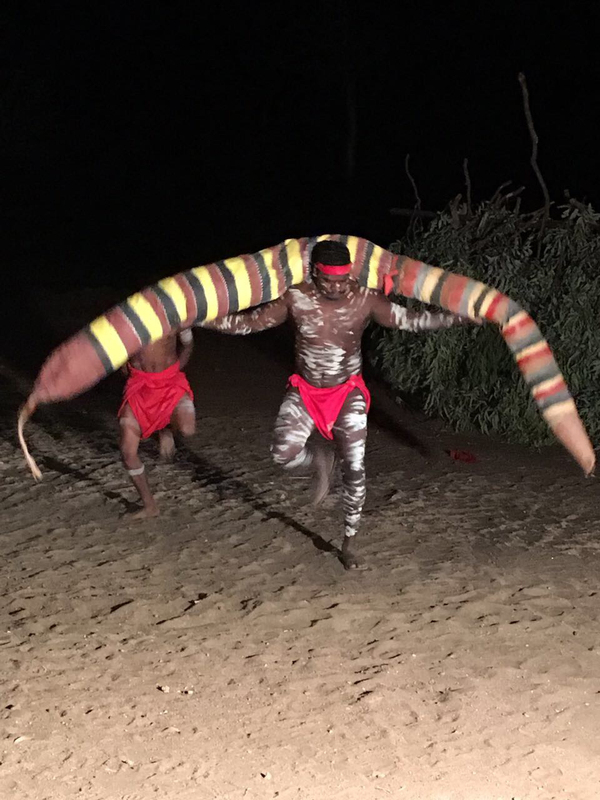 Gija people strongly believe in the myths, beliefs and legends that are found in our old Ngarranggarni ways of life that are very well alive today. Like how the dreaming, Goorirr Goorirr came to Rover Thomas and he explained and sang to Gija people about country and in languages he didn’t know because he was from the desert. But Gija people knew what he was singing about and helped him put those stories and songs together to make that joonba because they believed him.